Star Physio at Lancelin Hell of the North! 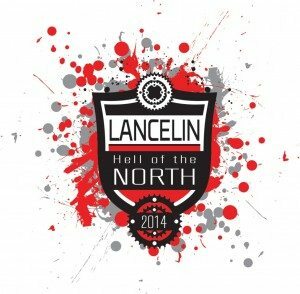 This weekend sees the final event for 2014 on the BWA cyclo-sportif calendar, the Lancelin “Hell of the North”. Named after the famous Paris-Roubaix race held since 1896, it is a fantastic way to round out the “Sportif” season and welcome the good weather leading into summer. Whether you are at the end of a tough winter training and racing campaign, or the start of the “get fit for summer”, make sure you are well prepared for the event! Star Physio will again be on hand again at the Lancelin “Hell of the North” providing injury support as well as free advice on bikefit and all things “cycling performance and efficiency”. If you haven’t already, check out our website (http://starphysiowa.com.au/) for info on our services including bikefit, conditioning and Pilates, have a look at our you tube channel for lots of free info on bikefit and injury prevention and management (http://www.youtube.com/channel/UCxjHQE2HMerNn6JOurOYa_w) or like us on Facebook (https://www.facebook.com/starphysiowa). A special thankyou to BWA members for their fantastic support of Star Physio. As always we provide fabulous physiotherapy services at our 4 clinics with practitioners that really understand the demands of cycling and the biomechanics involved. BWA members get discounts on treatment and also Pilates and classes at all of our centres so don’t just put up with that pain, get in and let one of our experts help you sort it out! 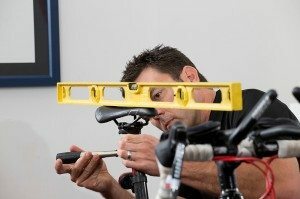 One of our most popular services is Bikefit with Star Physio’s Principal Bikefit expert, Damian Oldmeadow. Damian will discuss your cycling goals and injury history before performing a musculoskeletal assessment to see how your body works. With this information you will then be fitted to your bike to make sure you are getting the most out of your cycling experience. As a physio, Damian’s expertise is getting you comfortable on the bike and maximizing your efficiency of movement, however; having worked with some of the best cyclists in the world, Damian can also work with you towards maximising power output, with a number of the state’s top cyclists reporting power increases of over 10% following a bikefit with Damian! Check out the bikefit section on our website http://starphysiowa.com.au/service/bikefit/. More recently we have introduced Strength Assessment and Conditioning Programs with our resident conditioning guru, Merv Travers. Merv is a physio with post grad training as well as working on completion of Level 2 ASCA Strength and Conditioning, of which there are only a handful in WA. Merv is also a multiple times published author and has recently had his PhD accepted (soon to be Dr Merv, or Dr Evil as some of his patients may suggest!) 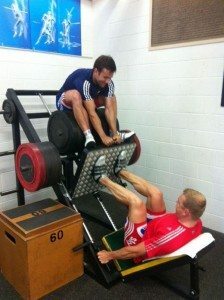 which is focussed on lower limb loading which is related to strength and injury prevention. Working alongside Merv is Steve Jeffries who is also a qualified physio and strength and conditioning coach. We have set up our Mosman Park office with some specific equipment to get you using muscles like you never knew you could! Merv has previously worked for the Western Force and combines his experience and education with his passion for triathlon and cycling to assess your strength and provide you with a specific conditioning program that will have you riding like you never thought possible! Endurance athletes are finally realising the huge gains in performance that they can gain by integrating strength work into their program not to mention the long understood link between strength and resilience to injury. And a final reminder that all BWA members receive discounts on physiotherapy treatment at Star Physio, at any of our four convenient Perth metro locations. Make sure you drop by and say hi to Damo on the weekend! Best of luck and happy, safe cycling!